Food manufacturers factor in potential contamination regarding their products when planning out risk assessment procedures. As food recalls and bad press have the potential to shut down operations or drive away customers, risks related to supply management is still a major concern, according to Modern Materials Handling. In the 2013 Grant Thornton Global Food and Beverage study, 90 percent of food and beverage firm decision-makers said they expect increases in revenue in 2014 and one-third said they expected sales to expand more than 10 percent. As companies anticipate growing profits in the next 12 months and 56 percent said they project hiring will also pick up next year, it's important for firms to stay on track of their goals through maintaining full control of their operations. However, risks related to food manufacturing and processing continue to be a moderate to significant concern for global food and beverage companies. According to the study, 51 percent of food and beverage companies say they are worried about product safety. Around 50 percent say they are concerned about quality. Even though 35 percent of respondents said they were worried about traceability - with safety and quality getting a greater degree of focus from manufacturers - new rules under the Food Safety Modernization Act require improved abilities for traceability in supply (FSMA). As confusion about compliance and enforcement of FSMA continues, some executives might view rules and regulations under FSMA as not applicable to them or their business. "Many companies have programs in place, and they're trying to make adjustments so their programs comply with the rules," said Dexter Manning, food and beverage practice leader of Grant Thornton. "But at the end of the day, some executives look at it and say, 'Well, Congress hasn't funded it yet, and so they may not be able to enforce it.' This means that many companies do not expect much impact, especially given U.S. budget deficits and cost-cutting." Despite this uncertainty regarding FSMA, it's crucial for food manufacturers and processors to understand the consequences of supply risks in the event of reports of insufficient product safety or quality. 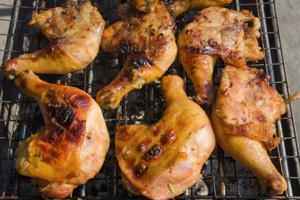 Recently, a collection of consumer groups advocated for a recall by the U.S. Department of Agriculture of Foster Farms' chicken products after the company's processing plants were linked to an outbreak of Salmonella, according to Food Safety News. The USDA previously threatened to suspend Foster Farms operations at its affected facilities. Consumer groups also sent a letter to encourage the government agency to increase the enforcement of its regulatory program.